Basil II (958-1025) - The two Basil emperors who ruled the Byzantine Empire came at opposite ends of the Macedonian Dynasty. It was ushered in with Basil I, and his descendant, Basil II, was one of the last (there is some uncertainty over whether or not Basil I was Basil II's ancestor; some say he actually descended from Michael III whom Basil I killed). Overall, it was probably the most successful dynasty in the empire's history; and the two Basils were its most effective. Under Basil II, the empire experienced its final period of expansion. After his reign, it entered a long steady period of decline where it was battered during the Crusades, and ultimately fell at the hands of the Ottoman Empire. Basil II proved himself to be a very effective military campaigner, which was the primary reason for the empire's expansion. In 991, the Byzantine Empire went to war with the relatively new Fatimid Caliphate. The caliphate attacked Aleppo, which was not part of the empire, but was under its protection. The Fatimids initially got the upper hand on the Byzantines, winning the first few skirmishes, including the important Battle of Orontes. Things became desperate to the point where Emperor Basil II personally took over command of the military, much as Emperor Heraclius had done in the Byzantine-Sāssānid War centuries earlier (see Byzantine-Sāssānid War). His campaign was successful, pushing the Fatimids out of Aleppo and taking the battle to their own territory. Now things had turned desperate for the Fatimids. In an interesting development, the Fatimid caliph, al-Aziz prepared to take the reigns of his army. This would have created the rare situation (since ancient times) where the established rulers of two warring empires personally led their armies. But al-Aziz's untimely death in 996 prevented this from happening. The war continued for another few years before concluding in the year 1000, with the Byzantine Empire making moderate gains. The two sides signed a ten year treaty, and with peace now achieved on the southern border, Basil turned his attention north. He began the new millennium with an invasion of Bulgarian territory. 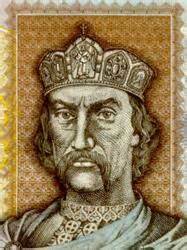 The Bulgarians were ruled by Samuel, who would prove himself to be Basil's arch-enemy. After a 14 year campaign, concluding with the Battle of Kleidion, the Byzantine Empire completely subdued Bulgaria. The primary source from this period is a Greek historian named Ioannes Scylitzes. He records that Basil was particularly harsh in victory. Of the 15,000 prisoners captured, he gouged the eyes out of 99 of every 100. The 100th, he gouged out a single eye so that they could lead the blinded men back to their king. Upon seeing his blinded soldiers, Samuel reported had a heart attack and died two days later. This cruel treatment earned Basil the nickname, "Bulgar-slayer". He was also known as Basil the Young to distinguish himself from Basil I. His reign lasted nearly 50 years from 976 to 1025.